Authentic Australian colors and woven crest show your team pride. Nike Breathe fabric helps you stay dry and cool. Raglan sleeves eliminate shoulder seams so your arms move freely. 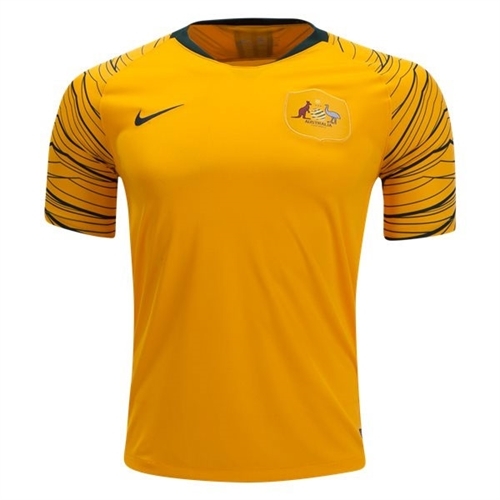 Our Nike Australia Home Jersey 2018 keeps your team colors flying no matter where you play. 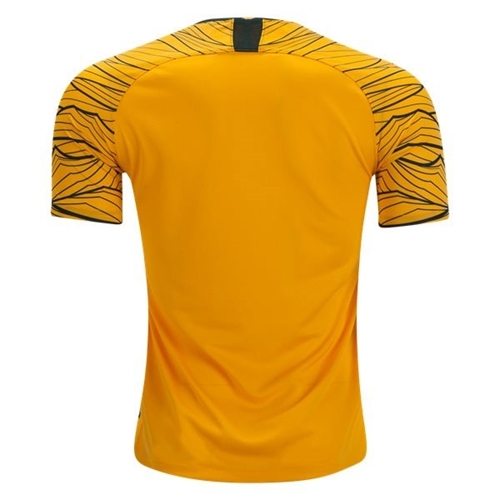 Highly breathable fabric helps you stay cool and dry on the pitch.